Zaliet has been helping small law firms for over ten years so they have a deep understanding of how they work. They also have the ability to integrate online functions directly into LEAP, thereby enhancing your client experience. A Service Portal is the one place where your clients can communicate and collaborate with your firm, 24/7. 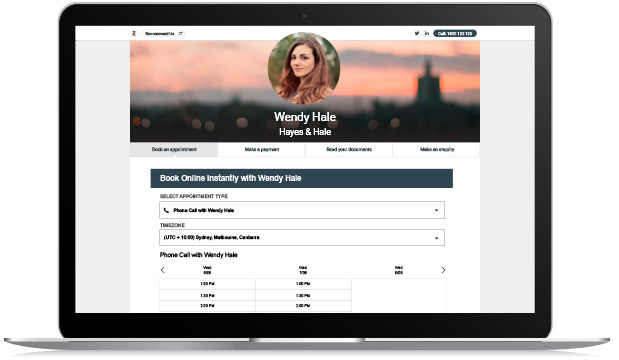 Your clients can request appointments, complete Instruction Forms, pay their bills, access their documents, and make enquiries - securely on any device. How does Zaliet work with LEAP? Your Service Portal integrates with LEAP to help automate costly non-billable tasks. The Service Portal Instruction Forms collect your client’s information and can be imported into LEAP as a Matter at the click of a button - allowing you to get moving quickly and eliminate administrative time. Zaliet also provides an Enquiries Hub where you can track and manage all your prospective client enquiries. Log calls, emails and update the status so you know when to follow up. Exclusive LEAP integration allows you to export the details across into LEAP to get started on new client work instantly. Additionally, Zaliet have collaborated with LawConnect and RapidPay to bring features into the product as well, improving your practice workflow and improving accuracy.